What Neopian soda is better, Neocola or Achyfi? 1. Neocola comes in a diet version and a caffeine-free version, but does Achyfi? Nope, of course not! 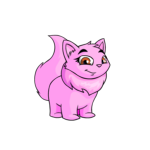 Neocola kindly recognizes the Neopians who are avoiding sugars, calories, and caffeine. The folks at Achyfi aren’t that nice. 2. Neocola is so popular, it is even has a vending machine on Kreludor so Grundos can enjoy its great taste, too! Tokens can be purchased to use the machine. Even Dr. Sloth likes Neocola, and that’s saying something! 3. Neocola makes four kinds of candy! They are: Neocola bottles, Fizzy Neocola bottles, Neocola hard candies, and Neocola jellypops. All are extremely tasty and well-made products. I can’t say the same for Achyfi’s lollypop line, however. 4. Neocola keeps it simple - from the design on each can to the range of flavors. Its memorable color scheme allows you to recognize a Neocola product when you see one. Achyfi doesn’t even have a constant brand color. But fine, fine, I’ll save the Achyfi slamming for the special section below. 5. Neocola makes more than just candy and soda! They also manufacture a Neocola plushie, a squeezable replica of their soda can. It’s so adorable, I could scream! Buy one, draw a face on it, and keep it as your forever friend and constant companion. Better than any human friend you’ll ever have! Um... I mean, it’ll make a wonderful addition to your plushie collection. Neocola also makes balloons; perfect for decorating at parties and get-togethers! 6. Neocola has printed their own book, aptly named the “Neocola Book”. In this history of the Neocola company, you get to know your favorite soft drink brand better! This is definitely a purchase you’ll want to make. Know what you’re drinking, folks! 7. Neocola has its own animated item: the Dancing Neocola Can! Jeff here is a shining example of how utterly cool they are. Their little sunglasses are so cute... and they are smart enough to know how to dance! As long as you keep clapping, they will keep dancing... This is one of the best reasons to switch from Achyfi to Neocola. Does Achyfi manufacture its own animated item? Of course not. Achyfi isn’t cool enough for that. And for collectors of items that move, such as myself, this is just another example of why Neocola is the best company on the planet! I could list hundreds of reasons why Achyfi doesn’t even compare to Neocola, but I’ll stick to seven... for now. I’ll try to stop myself from going on too long. 1. It comes in all sorts of gross flavors! Some of the worst types include Celery Achyfi, Bacon Achyfi, Dirt Achyfi, and Broccoli Achyfi! Who wants to get their daily servings of vegetables through soft drinks?! Nobody, that’s who. And who drinks dirt-flavored soda? Nobody, that’s who. And bacon? I’m not even going to start. 2. It manufactures really awful candy. Their notorious lollypop line shows you what little effort is put into their products. The Tarragon Achyfi Lollypop is one example of Achyfi’s poor workmanship. It’s made with roots! Who thinks of this?! I’ll tell you who: the same sick mind that invented Carrot Fizz Achyfi. 3. The “Achyfi Recipes” book tells you exactly how much the executives over at the Achyfi Co. care for their product. The books description reads, “The secret ingredients to achyfi have finally been leaked!” (as if anybody would want to know how to make Achyfi in the first place). They don’t even care enough to capitalize the work ‘Achyfi’. Not that I care about Achyfi by capitalizing the name; I’m just doing it for punctuation’s sake. 4. Its color scheme isn’t consistent. The color of the Achyfi can changes with every flavor. How weird is that?! Nobody should have to memorize the color of each flavor of Achyfi. 6. There is no such thing as regular Achyfi! There’s all these different flavors, but no “classic” Achyfi. With Neocola, you can have your choice of flavored drinks, but also a simple, plain, honest-to-goodness Neocola. These people have class. 7. 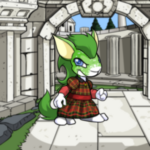 Evil Neopians drink Achyfi. What? What’s that? It is so not a conspiracy theory. There’s even a type of Achyfi called “Jhudora’s Achyfi”. Do you want to drink the same kind of soda as Neopia’s most infamous citizens? I didn’t think so. What do you mean “why can’t we enjoy both”? I just gave you seven reasons why Achyfi is lame, and seven more why Neocola is awesome! You can’t like both! It’s impossible, insane, unnatural, not-in-the-spirit-of-things, etc., etc.! It’s one or the other here. You can like the Tooth Faerie and Illusen. You can like corndogs and hotdogs. You can even like celery and organic celery. But you cannot, absolutely CANNOT, like both Achyfi and Neocola. It just doesn’t work, okay? Besides, after this article, why would you even think of buying a can of Achyfi again? So there you have it. I hope this has convinced you to throw out any Achyfi you had in your Neohome and replace it with Neocola, Neopia’s superior soft drink. And if you still choose to side with Achyfi... ? Please don’t say that in front of Jeff. He’d be terribly offended. That’s all I have for you today! Remember: Neocola is better! Spread the word!